Paris has long been famous for its cafe culture – so much so that entire articles like the one here cafe etiquette has been written about the etiquette required when dining or drinking in them. 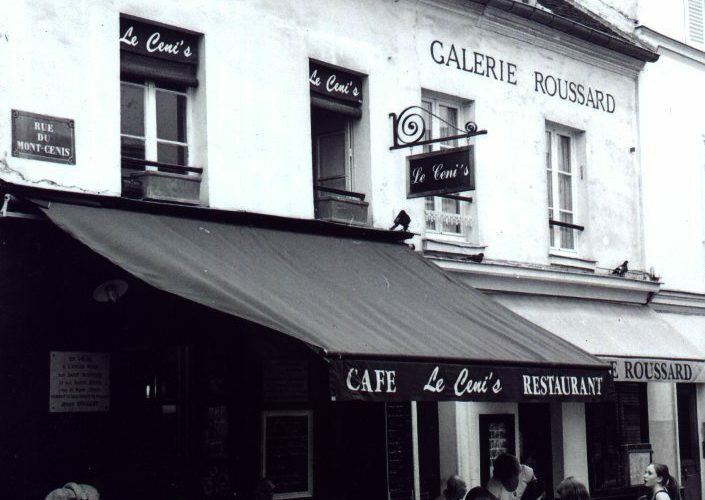 However, the popularity of Paris’ cafes has led to a number of problems. Cafes in the centre of the city, or near major tourist attractions are now often overpriced and very busy tourist traps. Fortunately, you don’t have to look far beyond the city centre to find a cafe. There are a number of Parisian suburbs and districts which offer the atmosphere (and relative calm) of a small French town. In this article, we’ll let you know about a few areas that you should check out the next time that you’re looking to soak up the cafe culture of Paris. This town may be only a few metro stops from the bustling area around the Gare de Lyon in central Paris, but it could hardly be more different in terms of atmosphere. The main central square offers a number of fabulous cafes where you’ll feel at ease to sit and enjoy a slow afternoon and a delicious glass of wine. Prices are also significantly cheaper than you’ll find back in central Paris. The short distance and easy transport links from central Paris make this an excellent choice if you’re looking to escape from the hustle and bustle of the French capital. While there’s certainly a lot more going on here than you’ll find in Vincennes, it’s still a fairly quiet area compared to Opera, Notre Dame or some of the more touristy areas of the city. If you’re a fan of bohemian atmospheres and slightly off the wall establishments and cultures then this is definitely the place you’ll want to be. The best way to find a cafe here is simply to wander up and down the streets for a little while and see where the locals are hanging out. Establishments tend to come and go frequently and a place that’s cool now may be bottom of the list in a couple of months. Trust your judgement and be brave and you’re sure to find a place that you’ll fall in love with. Paris is famous for a reason and its busiest areas offer plenty to keep any tourist busy. However, taking the time to explore a few of the areas that we’ve mentioned in this article and you’ll see a side of the city that is often cut off to tourists. If you’re keen to enjoy the culture of Paris in the way the locals do then exploring the cafes and finding somewhere you love is a great way to do it. Of course, if you need to make sure that you’re fit and well before you go, talk to the experts at https to see a GP and make sure you’re fit and ready to go.